"Although there is a fundamental enigma — what really happened — that cannot be fully answered, the first half of “Incendiary” seeks to demonstrate through the testimony of Gerald Hurst and John Lentini, arson science experts, as well as through gorgeous re-enactments, that there was simply no arson, the prosecution’s key to conviction. That methodical analytical breakdown using the latest forensic science is riveting, yet the film also demonstrates that there’s a little junior arsonist in its co-director. “We deployed some accelerants and had a few controlled fires in my driveway,” Mr. Mims said, “but couldn’t quite convince the Austin Fire Department to help out with a full flashover fire.”"
"Yes, this is West 11th Street, Corsicana, Texas. It’s about 10 o’clock in the morning. Those are the arson investigators, and they’ll soon decide that I set this house on fire and burned my three young children to death just before Christmas 1991. But before you hear it all distorted or blown out of proportion, maybe you’d like to hear the facts, the whole truth. The governor likes to quote my own defense attorney about how I am — or should I say: was — “a monster.” Because, you see, I was executed six years ago when he wouldn’t grant a stay," the Texas Tribune story published in the New York Times published on November 27, 2010 begins, under the heading, "Willingham Filmmakers Will Speak for the Dead." 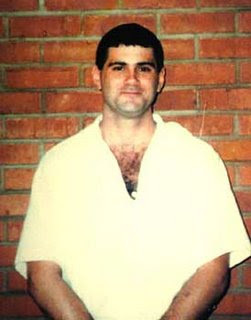 "With apologies to Billy Wilder and William Holden as Joe Gillis in “Sunset Boulevard,” that is how Cameron Todd Willingham’s voice-over might begin “Incendiary,” a wildly and broadly appealing, nearly completed documentary about his controversial conviction and eventual execution in Texas," the story continues. "When I asked Steve Mims, the co-director of “Incendiary” and my colleague in the University of Texas at Austin’s radio, television and film department, if such an opening would be disrespectful to Mr. Willingham’s memory, he was reassuring. Over brisket recently at Ruby’s BBQ, Mr. Bailey explained his frustration. “I could never quite express what I wanted to about music in words,” he said. Mr. Bailey wasn’t Mr. Mims’s typical student: he was a bit older, very focused, with his own audio equipment to complement his professor’s camera gear. An unexpected chat after one class gave Mr. Bailey a new subject, an opportunity to use his legal background and an eager collaborator. Although there is a fundamental enigma — what really happened — that cannot be fully answered, the first half of “Incendiary” seeks to demonstrate through the testimony of Gerald Hurst and John Lentini, arson science experts, as well as through gorgeous re-enactments, that there was simply no arson, the prosecution’s key to conviction. That methodical analytical breakdown using the latest forensic science is riveting, yet the film also demonstrates that there’s a little junior arsonist in its co-director. “The emotional climate of most death penalty convictions is that both the tough-on-crime side and the anti-death-penalty advocates lose sight of due process, fairness and science,” Mr. Bailey said. If there’s an overriding theme to a film that puts science first, it is that science and advocacy are not friends." "It causes me great pain every time I am characterized as a child abuser, a child beater, and a mother who made a terrible mistake. I am none of these things, save and except for the last, and that mistake was leaving my daughter with a babysitter who sexually assaulted and killed her in my home while his mother was upstairs," Ms Waudby says in the affidavit." PUBLISHER'S NOTE: It is clear from the evidence called at the Goudge inquiry that Brenda Waudby - an utterly innocent individual who's baby daughter had been murdered by her babysitter - had been required to plead guilty to a charge of child abuse under provincial legislation before the Crown would withdraw the the second-degree murder charge on the basis of medical opinions which showed she could not possibly have committed the crime. It is also clear that Dr. Charles Smith's opinion that there were injuries which preceded the attack on Baby Jenna - which led to her being wrongfully charged with murder - was also the basis for the provincial charge, along with what the police claimed to be a confession. Instead of receiving the sympathy and compassion she deserved as a grieving mother whose baby daughter had been murdered, Ms. Waudby, a grieving mother, was herself charged with the horrific crime and not surprisingly became a pariah in her community. Brenda Waudby has been given a raw deal by Ontario's criminal justice system. We can only hope that the Court will give her the opportunity to strike the plea that she felt compelled to make in the circumstances, allow her to call the fresh evidence which she says clears her of this offence, and go the rest of the distance necessary to clear her name. Ms. Waudby explains her reasons for bringing the application is an affidavit which can be found at juliekirkpatrick.com. Click "cases", click application record" and then scroll down to "affidavit." This affidavit - replete with allegations of a coerced confession - is one of the most disturbing court documents which i have ever seen in my lengthy career career as a criminal lawyer and journalist. I encourage all of our readers around the world to read it - and to follow this case closely. "(PETERBOROUGH) Distressed, off her medication, hungry, and harassed for months, Brenda Waudby says she plead guilty in 1999 to abusing her daughter, Jenna Mellor, believing it was the only way to hold onto her two remaining children," the November 26, 2010 story by reporter Joel Wiebe, published under the heading "No other options, begins. ""I am not a perfect mother, and I have had some great challenges in my life, but I have loved all of my children deeply and I did not beat Jenna the night before she died," she says in sworn affidavit dated Oct. 7 and filed Oct. 28 in Superior Court," the story continues. "Peterborough This Week has spent the past month attempting to gain access to the document. For more than 11 years, she's been convicted of abusing her child. Now she's appealing her original guilty plea and disputing her so-called confession. Ms Waudby's lawyer, Julie Kirkpatrick, said her client didn't want to speak to the media but would rather have her story told through the affidavit, which chronicle's her 13-year ordeal. In the months following the death of her 21-month-old daughter, Ms Waudby was charged with her murder. Pathologist Dr. Charles Smith, whose work in many cases has been questioned with some convictions overturned in the last few years, erroneously pinpointed the time of her fatal injury to have been while her daughter was in her care. When it became evident two years later that she couldn't have inflicted the fatal wounds on her daughter, she pleaded guilty to child abuse. Since then, the then-14-year-old babysitter has been convicted of manslaughter, sentenced, and released. "It causes me great pain every time I am characterized as a child abuser, a child beater, and a mother who made a terrible mistake. I am none of these things, save and except for the last, and that mistake was leaving my daughter with a babysitter who sexually assaulted and killed her in my home while his mother was upstairs," Ms Waudby says in the affidavit. As a young offender, the babysitter cannot be identified and he was not convicted of sexual assault. The bottom line is: she says she never should have been put in a position where she had to choose between a conviction and her family. Ms Waudby goes into great detail describing the events leading up to her confession and the ensuing conviction, adamantly denying she every physically harmed her daughter beyond spanking her diaper. She says police put her under surveillance using wiretaps and an undercover officer dubbed Ramona who befriended her. She accuses police of fabricating the fact that medical evidence conclusively excluded the babysitter. Not able to remember hitting her daughter, she became convinced at one point, from the police and suggestions from her undercover friend, that she was suffering from a memory lapse. "Between July 7, 1997 and September 18, 1997, the focus of the police investigation was clearly to convince me that I had caused harm to Jenna during a 'blackout period' and to obtain a confession which would 'substantiate a pattern of past abuse' involving older rib injuries," she states in the document. Ms Waudby describes the morning of Sept. 18, 1997, when she was arrested in front of her daughter before she had her breakfast or had taken her anxiety medication, neither of which was provided to her during the rest of the day. She was taken to the police station and told police had a report from Dr. Smith stating there was no doubt the fatal injures happened while Jenna was in her care. "They also kept telling me that Dr. Smith was the best pathologist in the country and his report could not be wrong," she states. She admitted to dropping her daughter on the crib railing, but she says in the document that it wasn't enough to account for the injuries. She was then left for a half hour with autopsy pictures of her late daughter and was told if she confessed she could try and get her other daughter back. A second videotaped confession was taken where she admitted she swung her arms and may have hit her daughter. If her case went to trial, the Children's Aid Society would need to seek Crown wardship because of her length of time in their custody, which she claims left her feeling she had no choice but to plead guilty. Hugh Nicholson, Director of the local Children's Aid Society, said confidentiality agreements mean he can't talk about Ms Waudby's case, but as a policy, he said there are minimum temporary custody limits. If a child is younger than six, the limit is one year, if they're older, it's two. A parent can still try and get their child back after the Crown becomes the ward, but not if they get permanently adopted he said. "I imagine it happens," he says of children becoming Crown wards while their parents are under lengthy criminal proceedings. Staff Sergeant Dan Smith of the Peterborough police said the department can't comment on the case since there is currently a civil suit from Ms Waudby underway which involves the police." Once connected with juliekirkpatrick.com, click "cases" click "application record" and then scroll down to "affidavit." "Waudby went into the interrogation without having eaten. She states that she wasn't given any food. She was also denied her medication, Lorazepam, which she took each morning and night. "They convinced me if I didn't give a statement that I would not be released. I was so scared by being remanded into custody than to leave a false statement. I was convinced by them that it would look better coming from me than it would coming from them." The assumption of child abuse, without a confession or substantial proof, was enough to taint Waudby as a bad and negligent mother. Waudby states she was well aware that any criminal trial she would get wouldn't take place into well into 2000. By then, Justine would have been in foster care beyond the statutory time line and the CAS indicated they would seek to make Justine a Crown ward. Waudby states that she felt she had no choice but to enter the plea." Click on "cases", click on "application record" and then scroll down to "affidavit." PUBLISHER'S NOTE 2: The Peterborough Examiner has run the following apology in connection with an editing error related to a headline: "A headline in the Saturday, Nov. 27 front page of our newspaper, The Peterborough Examiner and in earlier website reports, is incorrect due to an editing error. Brenda Waudby was never charged with sexual assault or any assault involving any sexual connotation. The Examiner apologizes for the error." "Brenda Waudby's years of struggle to clear her name is the subject of a lengthy television documentary likely airing in the New Year," the Peterborough Examiner story begins. "The documentary, prepared by Julian Sher, will air on Global Television," the story continues. "Sher said he wasn't at liberty to discuss details of the documentary because he was discussing the documentary's final details with the national network. Waudby, originally charged with murdering her own daughter, Jenna Mellor, in 1997 has been fighting to clear her name for more than a decade. A murder charge against her was withdrawn; Jenna's babysitter, 14 at the time of the killing, pleaded guilty to manslaughter in December 2006 after being arrested as an adult. He was also charged with sexual assault, but the Crown withdrew that charge. Now Waudby is fighting to have her own conviction of child abuse withdrawn. Waudby pleaded guilty to that charge in June 1999. She has applied for an appeal extension with the court, which, if received, would give her a chance to formerly appeal the conviction. In a sworn affidavit filed with Superior Court, Waudby alleges she was bullied by the Crown attorney, police and the Kawartha-Haliburton Children's Aid Society into falsely confessing to abusing Jenna. "I am not a perfect mother, and I have had some great challenges in my life, but I have loved all my children deeply and I did not beat Jenna before she died," Waudby states in her affidavit. Waudby was charged with Jenna's death based on the erroneous findings of pathologist Dr. Charles Smith. In his report, Smith not only wrongly pinpointed the time of Jenna's injuries at 24 to 48 hours before her death, but also stated that there were "older rib injuries" predating Jenna's death by five to seven days. The affidavit states that the pathological evidence doesn't support Smith's findings and that Smith himself later retracted that statement. "I cannot continue to be labelled as a convicted child abuser. I am grateful for the fact that I have not had to live as a mother wrongfully convicted of murder, but the fact is that I should never have been in a situation where I had to choose a substitute label in order to preserve my family." "It causes me great pain every time I am characterized as a child abuser, a child beater and a mother who made a terrible mistake. I am none of these things, save and except for the last, and that mistake was leaving my daughter with a babysitter who sexually assaulted and killed her in my home, while his mother was upstairs." It also takes issue with Smith's assertion that no sexual abuse occurred during Jenna's final hours. Waudby's affidavit references several nurses, doctors and police officers that noticed trauma to Jenna's body and a pubic hair located near her vaginal area. Jenna's body was taken to Civic Hospital after she was taken from Waudby's home. The affidavit states two doctors noted possible sexual trauma to Jenna, while several nurses noticed a hair protruding from her lower area. Several city police officers apparently either saw the hair, or were informed about its existence, the affidavit states. It also notes that some officers noted signs of sexual assault on Jenna's body. The affidavit states that police zeroed in on Waudby as the prime suspect. "During the eight months between Jenna's death and my arrest I was subjected to aggressive police tactics, undercover surveillance and wiretap surveil-l ance, co-ordinated at times between the police and the CAS and explicitly designed to obtained a confession from me," Waudby states. An undercover officer, Maya Schlegel, befriended Waudby to obtain a confession from her, she states, eventually winning an award for extracting a "confession" from Waudby when she didn't. Waudby states she adamantly denied hurting Jenna. She admits to smoking a small amount of marijuana before putting Jenna and her other daughter to bed the night before Jenna's death and that Jenna woke up later that night crying. "I reacted badly by yelling at her to go to sleep, spanking her diaper and putting her in the her crib." The affidavit refers to notes prepared by Schlegel, with Waudby expressing concern that police, after several lengthy interrogations, might have her believing something happened when it didn't. Schlegel's notes suggest that the undercover officer asked Waudby if she suffers from memory lapses. Between the police interrogations, and the suggestions by her "friend," Waudby states that she began to wonder if she was suffering from memory lapses and couldn't remember an eight-hour time period where Smith said Jenna was injured. "Between July 7, 1997 and September 18, 1997, the focus of the police investigation was clearly to convince me that I had caused harm to Jenna during a 'blackout period' and to obtain a confession which would 'substantiate a pattern of past abuse' involving older rib injury," Waudby states. On Sept. 18, 1997, Waudby was arrested, in front of her daughter Justine, and charged with second-degree murder. She was brought to the police station, taken into an interview room and was told police had no doubt that she was responsible for Jenna's death. "They told me that I was a good mother who made a mistake, got frustrated and lost control of my emotions. They told me that I had to admit to myself and everyone else that I had made a terrible mistake and that if I did my family would understand and support me." Police told her Smith's report showed, beyond any doubt, Jenna's injuries were received in Waudby's care. "I told police that Jenna had been crying incessantly and that I did experience what I described as "flashbacks." I now realize I was remembering and replaying images of the photographs shown to me by Det. Const. Dan Lemay on April 28, 1997, against the memory of putting Jenna to bed on the night of Jan. 20, 1997." The affidavit states police repeatedly asked Waudby to remember what happened that night, suggesting she had made a terrible mistake, or even simply lost control and began swinging her arms, striking Jenna's torso. "Det. Const. Lemay told me that Justine was going to be in foster care and if I gave them a second statement they would ensure that I would be released that day so that I could try to get her back in my care. They talked to me about the difference between murder and manslaughter and the importance of co-operating with police when you've made an 'emotional spur of the moment' mistake. "I was told that if I gave a second statement that con-firmed what they had discussed, then it would explain to my parents and family what had happened, and they would understand and support me." Waudby went into the interrogation without having eaten. She states that she wasn't given any food. She was also denied her medication, Lorazepam, which she took each morning and night. Waudby states that she felt she had no choice but to enter the plea. In court, on the day of Waudby's plea, her lawyer, James Hauraney, would not confirm that the facts read aloud were substantially correct when asked. "We are prepared to accept the explanation," he replied. Waudby got two year's probation. The CAS immediately started using the proceeding against her, Waudby states, in an attempt to keep Justine, and her newborn son, away from her. Justine was eventually returned to her, though the CAS appealed that decision. A CAS worker would tell a family court judge that Waudby had confessed to hitting Jenna in a statement to police, the affidavit states, though this was wrong. No one at the CAS was available for comment. The Examiner has been seeking a copy of the affidavit since Waudby's lawyer, Julie Kirkpatrick, initiated the process in October. The Ministry of the Attorney General's office repeatedly denied The Examiner's request, stating the document couldn't be released because it dealt with issues normally addressed in family court. The matter will be addressed in court Dec. 9." "The 76-year-old Shadrake was sentenced last week after a Nov. 3 conviction on charges of scandalizing the court in his book, "Once a Jolly Hangman: Singapore Justice in the Dock." He also was fined S$20,000 (US$15,400) and ordered to pay S$55,000 in legal costs. The six-week jail sentence was the stiffest ever in Singapore for contempt of court, beating the previous record of 15 days. Shadrake would have to serve an additional two weeks in jail if he doesn't pay the fine, and Ravi said last week his client might not have enough money. He is also facing criminal defamation charges but is free on bail with his passport impounded." BACKGROUND: The 75-year-old free-lance British journalist was arrested by Singapore authorities in July, 2010, on criminal charges in connection with his new book, "Once a Jolly Hangman: Singapore Justice in the Dock," held overnight before being released, placed on trial, convicted, jailed and fined. "SINGAPORE -(Dow Jones)- A U.K. author sentenced to six weeks' jail in Singapore over his book on the city-state's death penalty has asked to leave the country pending his appeal of the conviction, his lawyer said," the Dow Jones story by reporter Chun Han Wong published on November 24, 2010 begins, under the heading, "UK Author Sentenced To Singapore Jail Asks To Leave Country - Lawyer." "Alan Shadrake on Tuesday informed the High Court he "wishes to leave the jurisdiction as soon as possible" in a letter sent by his lawyer M. Ravi. A hearing will be held Friday," the story continues. He is also facing criminal defamation charges but is free on bail with his passport impounded. The Attorney General's Chambers said in an emailed statement late Tuesday that criminal defamation investigations are ongoing and separate from the contempt proceedings. Shadrake must seek police permission to leave Singapore for that matter, it said. The book, launched earlier this year, profiles a retired chief executioner and features interviews on death penalty cases with rights activists, lawyers, and former police officers. Government lawyers said statements in the book constituted "baseless, unwarranted attacks" impugning Singapore's judiciary, and imply that Singapore courts succumb to foreign political and economic pressure, favor the rich and well-connected and are used by the government to suppress dissent. He has until Dec. 15 to appeal." "Plude was convicted of intentional homicide in 2002 after his wife, Genell, was found drowned in a toilet. During the trial, Plude claimed his wife took the pills and committed suicide on her own. However, prosecutors said Plude poisoned Genell and pushed her face into the toilet to drown her while she vomited. "The Land O'Lakes man has already spent several years behind bars for the murder. However, the intentional homicide conviction was overturned after an expert witness exaggerated his credentials. The witness claimed he was a University professor before giving expert testimony. The Wisconsin supreme court ruled the expert's credentials were false and overturned the conviction." "EAGLE RIVER (WAOW) -- The Northwoods man who admitted to drowning his wife in a toilet will spend an additional 19 years behind bars before being released. Douglas Plude was sentenced to 25 years for the reckless homicide. However, the past 5 1/2 years Plude has already served will be deducted from the 25 years," the WAOW story by reporter Patrick Manning, published on November 24, 2010 under the heading, "Plude to serve more time behind bars," begins. "Plude is currently being held in Vilas Co Jail and will be transferred to the Wisconsin State Prison System," the story continues. "The court heard testimony from Genell Pludes parents. "I have a permanent picture in my mind of Genell that day. I will for ever wonder what her last moments were like and did she know that we were on her way to get her," said mother Lillian Johnson. "There's no relief from the anxiety and stress that we and many others have had to endure over this time," said father Kenneth Johnson. Plude originally pleaded not guilty to intentional homicide but a judge and jury determined otherwise. He served nearly six years of prison time before that guilty conviction was overturned. An expert witness had falsified credentials. Plude was released, but instead of going through another trial, he pleaded guilty this time around to a lesser charge of reckless homicide. Lawyers from both sides recommended he serve no more prison time--just probation. Both saying Plude isn't a threat to society. "He accepts responsibility for the bad choices he's made. He's agreed in this case that he had alternatives, enter this plea or go to trial and he's taken the plea that he would like to conclude this case today," said James Connell, Plude's attorney. Plude argued he needs to be released to care of his sick mother. "It didn't take long for me to accept this plea bargain; so I could be home with her. It's not about me and my innocence anymore, I'd love to prove it, believe me," says Plude. But the judge denied Plude's request for probation. He was sent to custody and will be transported to a Wisconsin state prison. Plude was convicted of intentional homicide in 2002 after his wife, Genell, was found drowned in a toilet. During the trial, Plude claimed his wife took the pills and committed suicide on her own. However, prosecutors said Plude poisoned Genell and pushed her face into the toilet to drown her while she vomited. The Land O'Lakes man has already spent several years behind bars for the murder. However, the intentional homicide conviction was overturned after an expert witness exaggerated his credentials. "The applicant seeks to have the clippings released for forensic examination to determine whether the hair is facial or scalp hair. The evidence before us on the application is that the Centre of Forensic Sciences has the expertise required to conduct this type of examination and that it can be completed within three weeks of receipt of the items to be tested. This sort of forensic testing was not conducted by the Crown in preparation for trial and was not requested on behalf of the defence until several months after the appeal to the Court of Appeal had been dismissed. Defence counsel at trial indicates in his affidavit that he was unaware that forensic analysis could distinguish between scalp and facial hairs. There is a letter in the record indicating that the applicant’s counsel on the appeal to the Court of Appeal was similarly unaware of the feasibility of such testing. There is no evidence that the Crown was aware of this possibility. Given that it appears that no one requested such testing and the potential importance of the result which might be obtained, I would infer that it simply did not occur to any of the experienced criminal lawyers involved that this testing was available. Given the importance attached to the head shaving evidence by Crown counsel at trial and the significance of the inference of guilt which the head shaving evidence appears to have had in the Court of Appeal’s conclusion that the verdict of guilty was not unreasonable, it is in my view in the interests of justice that the applicant have access to this information in formulating his application for leave to appeal to this Court..."
SUPREME COURT OF CANADA; JUSTOCE CROMWELL FOR THE COURT; CONCURRED BY JUSTICES BINNIE AND ABELLA. The applicant and Gary Eunick were convicted of the first degree murder of Collin Moore and the attempted murder of Roger Moore in a nightclub shooting in the summer of 2002. A joint appeal to the Ontario Court of Appeal was dismissed (R. v. Hay, 2009 ONCA 398, 249 O.A.C. 24) and the applicant has applied for leave to appeal to this Court. The applicant wishes to determine whether he should seek to supplement with fresh evidence his pending leave application with respect to his argument that the verdict was unreasonable. For this purpose, he has applied for an order releasing two trial exhibits and their delivery to the Centre of Forensic Sciences for examination. The respondent Crown opposes the application. I agree with the position of counsel for both parties that the Court has jurisdiction to make the order sought. It is also my view that it is in the interests of justice to do so. Turning first to jurisdiction, I agree with the position of counsel for the respondent that a panel of this Court considering a leave application is authorized by s. 695(1) (read with s. 683(1)(a)) of the Criminal Code, R.S.C. 1985, c. C-46, to make the order the applicant seeks. That section confers authority on the Court in connection with an “appeal under this Part” to make any order that the Court of Appeal might have made. While there may be some question as to whether this authority extends to the Court considering an application for leave to appeal, three factors combine to convince me that it does. First, the provisions of the Criminal Code conferring appellate jurisdiction on this Court, while headed “Appeals to the Supreme Court of Canada”, set out situations in which appeals may be taken here either as of right or by leave. Moreover, for at least some purposes, the application for leave to appeal and the appeal itself in the event of a successful leave application are treated as two stages of an appeal to this Court. For example, s. 694.2(1), the provision granting the right to an appellant who is in custody to be present “at the hearing of the appeal before the Supreme Court of Canada”, is qualified by s. 694.2(2)(a) to make clear that a person in custody who is represented by counsel is not entitled to be present “on an application for leave to appeal”. This qualification would not be necessary if the right to be present at an appeal set out in s. 694.2(1) did not include the right to be present for an oral hearing of an application for leave to appeal. Second, while the term “appeal” is not a defined term in the Criminal Code, it is defined in the Supreme Court Act to include “any proceeding to set aside or vary any judgment of the court appealed from”: Supreme Court Act, R.S.C. 1985, c. S-26, s. 2(1). This definition is broad enough to include in this context an application for leave to appeal. As provided in s. 15(2)(b) of the Interpretation Act, R.S.C. 1985, c. I-21, this definition is to be “read and construed … as being applicable to all other enactments relating to the same subject-matter unless a contrary intention appears”. The broader definition of “appeal” in the Supreme Court Act should therefore be applied to that term as used in the provisions of the Criminal Code conferring appellate jurisdiction on this Court absent a contrary intention. I see none. Finally, as counsel for the respondent pointed out in her oral submissions, a contrary interpretation would leave a potentially significant lacuna in the powers of this Court to fully address leave applications. I conclude that a panel of the Court considering a leave application has authority to make the order sought. I now turn to why, in my view, it is in the interests of justice that we do so. There was a significant issue at trial about whether the applicant was the second of two gunmen who participated in the murder. The eyewitness identification at the scene was somewhat equivocal although there was considerable circumstantial evidence tending to link the applicant to the shooting. The Crown at trial argued to the jury that the post-offence conduct of the applicant supported an inference of guilt. It was contended that shortly after the killing he went to his home with the co-accused and changed his appearance by shaving his head. The Crown relied, among other evidence, on hair clippings found wrapped in a newspaper which were found in a garbage can of a washroom adjacent to the applicant’s bedroom and in a hair clipper or razor found in the drawer of a nightstand in the applicant’s bedroom. In its judgment, the Court of Appeal concluded that these clippings, combined with other evidence concerning the applicant’s appearance before the shooting, provided “a powerful inference” that the applicant had shaved his head after the murder to disguise his appearance (paras. 36-36). The Court of Appeal found that this “powerful inference”, coupled with other evidence was enough to put the case over “the unreasonable verdict threshold” (para. 36). The applicant seeks to have the clippings released for forensic examination to determine whether the hair is facial or scalp hair. The evidence before us on the application is that the Centre of Forensic Sciences has the expertise required to conduct this type of examination and that it can be completed within three weeks of receipt of the items to be tested. This sort of forensic testing was not conducted by the Crown in preparation for trial and was not requested on behalf of the defence until several months after the appeal to the Court of Appeal had been dismissed. Defence counsel at trial indicates in his affidavit that he was unaware that forensic analysis could distinguish between scalp and facial hairs. There is a letter in the record indicating that the applicant’s counsel on the appeal to the Court of Appeal was similarly unaware of the feasibility of such testing. There is no evidence that the Crown was aware of this possibility. Given that it appears that no one requested such testing and the potential importance of the result which might be obtained, I would infer that it simply did not occur to any of the experienced criminal lawyers involved that this testing was available. Given the importance attached to the head shaving evidence by Crown counsel at trial and the significance of the inference of guilt which the head shaving evidence appears to have had in the Court of Appeal’s conclusion that the verdict of guilty was not unreasonable, it is in my view in the interests of justice that the applicant have access to this information in formulating his application for leave to appeal to this Court. Of course, we are not at the stage of considering an application to adduce fresh evidence which would have to be addressed if and when advanced. At this stage, the applicant wishes simply to explore a possible source of expert evidence that may or may not produce evidence that is capable of laying the basis for such an application. The motion is allowed and counsel are directed to submit to the Court in draft a supplementary order addressing the precise arrangements to be made for release, transport, testing and return of the exhibits. If counsel cannot agree on a joint draft within 14 days hereof then each party is to submit a proposed draft order within 21 days of the date of this order for the Court’s consideration." "In a decision Thursday, Justice Thomas Cromwell of the Supreme Court said it was “in the interests of justice” that Hay have access to the trial exhibits, given the importance the Crown attached to the head-shaving evidence at his trial. In an interview with the Star, James Lockyer, a lawyer representing Hay, said the decision is “very good” news for future cases of suspected wrongful convictions because it means prosecutors can no longer arbitrarily refuse to release exhibits for “post-conviction” forensic testing." REPORTER TRACEY TYLER: LEGAL AFFAIRS REPORTER: THE TORONTO STAR. "In a ruling that could make it easier for victims of alleged wrongful convictions to turn to forensic science to prove their innocence, the Supreme Court of Canada has ordered Ontario’s attorney general to hand over exhibits from a Toronto murder case for testing at the province’s crime lab," the November 18, 2010 story by Legal Affairs reporter Tracey Tyler begins, under the heading, "Crown ordered to release exhibits from Toronto murder case." "It is the first time a Canadian court has ordered court exhibits released for forensic testing when a case is over, after a convicted person has exhausted all appeals," the story continues. "The Crown fought hard against it. Lawyers for Leighton Hay, who was convicted of gunning down Collin Moore at a Victoria Park Ave. nightclub in 2002, want to have hair clippings taken from a razor and garbage can in their client’s home tested to determine if they are scalp or facial hair. Moore, 51, a prominent member of the city’s Guyanese community, was hosting a charity dance at the club when he was killed by two gunmen, one of whom an eyewitness described as having dreadlocks. The Crown argued that Hay was that person and that he later shaved his head to change his appearance. Hay maintains he was asleep at home at the time of the killing and the hairs were shavings from his beard. In a decision Thursday, Justice Thomas Cromwell of the Supreme Court said it was “in the interests of justice” that Hay have access to the trial exhibits, given the importance the Crown attached to the head-shaving evidence at his trial. In an interview with the Star, James Lockyer, a lawyer representing Hay, said the decision is “very good” news for future cases of suspected wrongful convictions because it means prosecutors can no longer arbitrarily refuse to release exhibits for “post-conviction” forensic testing. “That’s essential if we want to get to the bottom of wrongful convictions,” he said. But the attorney-general’s ministry interprets the ruling as applying only to Hay’s case and says it will not change Crown practice in this area. There is “nothing arbitrary” about the Crown’s decisions on whether to release exhibits, ministry spokesperson Brendan Crawley said Thursday. There is a policy in place that requires prosecutors to consider the relevance of the exhibit in question and the forensic tests being sought, he said. For several years, lawyers for people with wrongful conviction claims had managed to reach agreements with prosecutors to have exhibits released for testing, but the Crown adopted a different tack in Hay’s case, closing the door to such a request. Access to trial exhibits for post-conviction testing has been a major issue in the United States, where lawyers for convicted people have brought more than 400 court applications seeking release of the material. Last month, in a case from Texas, the U.S. Supreme Court was asked to rule that condemned prisoners have a civil rights claim to forensic testing, specifically DNA testing. The decision is on reserve. Hay, meanwhile, is serving a life sentence for first-degree murder in connection with Moore’s slaying. Gary Eunick, a Toronto hair stylist, was also convicted of first-degree murder in the case." "Ms Waudby doesn't mind the information going public. In fact, she would love to have more people know. Her lawyer Julie Kirkpatrick hasn't tried to stop us either. She would just prefer that we get the information from the courthouse. "Two weeks ago, we told you Brenda Waudby is appealing a child-abuse conviction from the late 1990s as part of her ongoing exercise to clear her name. No, she did not kill her daughter Jenna in 1997 and yes, she is trying to rebuild her life," the November 10, 2010 Peterborough This Week editorial published under the heading, "Our opinion: Why the courts need to get into this century," begins. "We would love to tell you more about the case but we keep running into roadblocks that prevent us from getting into the file that shows why Ms Waudby should or should not have her conviction withdrawn. We've seen the 100-page document briefly but have not been allowed to copy it so we can read it thoroughly and provide accurate coverage," the editorial continues. To be fair to the courthouse staff, they are following a policy from the attorney-general's office that "prohibits the publication of any identifying information about a child, child's parent or foster parent or a member of the child's family in a child protection case. Court staff are therefore not permitted to provide public or media access to court documents filed in child protection cases, including any warrant issued under the Child and Family Services Act, even to members of the media who may have attended the hearing." We attended the hearing. It didn't get far since, as happens in many cases, the lawyers involved needed more time to prepare. We asked for permission to get into the courtroom, as the law states, and played by the rules. However, the next step of getting information that the lawyers have but that has not been read into the court record has proved frustrating. So why do we feel we should have access to these documents? Once filed with the courthouse, they are public documents. (Just ask our lawyer.) We aren't planning to publish all 100 pages but we should be able to read them. Yes, some of the information will be covered by a publication ban, but we cannot decide what needs to be shared and what needs to be held back until we see it. That's why the law states the information shouldn't be published instead of it not being available, which is what the attorney-general's office has chosen to do. So, two weeks later, we are no further ahead. The courthouse staff have talked to our staff and our lawyer. The attorney-general's office is now involved and has kept us waiting until the 11th hour. We could not get the information to you by our print deadline now, even if they said yes. Four years ago, the attorney-general struck a Panel on Justice and The Media to give reporters better access to court files so we can share information with you, our readers. The only success story so far is the change in price for photocopies dropped from $2 per page to $1. Do you think that brings Brenda Waudby any comfort? Neither do we."